If you're looking for something educational and fun for your child to do during summer vacation, these summer camps in New York might just be the solution. When you use this guide you will find all the most fun New York summer camps around - your child will have a blast meeting new friends and learning new things! Activities Galore at this NY Summer Camp! This NY summer camp has been creating memories for children since 1922. With several programs available it's not hard to find something that will be just right for your child. Whether you have an adventurous and athletic child or one who prefers crafts and cultural learning, there are fun things to do at Camp Ramaquois. More than 50 buildings including a gym, movie theater, workshops and more make up this camp. Rama Lake is 5 acres large and has plenty of room for the fun watersports offered at the camp. This amazingly fun summer camp boasts itself as "a day camp as complete as a sleepaway camp" and has programs for kids from 2nd to 10th grade. NY Summer Camp in the Great Outdoors! Set on 800 acres of private land, this sleepaway camp is a great place for kids to get away from the bustle of the city and learn to appreciate nature and the great outdoors. There are separate campuses for boys and girls along with many co-ed activity opportunities. If you have an adventurous our athletic child this is the perfect place for them! With climbing walls, 25 miles of trails and paths, archery ranges, ping pong tables, a shooting range, softball fields, basketball courts, volley ball courts and much much more, your child will never be bored at Forest Lake Camp. Located in the "Forever Wild" Catskill Mountains! As a parent, you want your child to have growth-filled opportunities, healthy habits, and lifelong friendships. We partner with families to do exactly that. More than a place to cool off, our lake is where children learn to swim for the first time or share a canoe with a friend. Our zipline isn’t a ride, but a safe place for teens to find courage they never knew they had. And our cabins provide more than shelter; they’re a space for a community to grow. Our traditional summer camp is rooted in 100+ years of rich heritage. Campers age 7-16 come for 1, 2, or 4 weeks and leave us with strengthened characters. Adventure Trips are great for outdoor-loving teens. Options include sailing, backpacking, canoeing, climbing, and service trips with Habitat for Humanity. Farm Camp is perfect for campers to spend a couple weeks on a working, organic farm, and our all-girls Horse Camp teaches more than equestrian skills but also lifelong leadership skills. Learn Useful Skills at These Camps! Chelsea Piers offers day camps over the summer to athletic young people who need somewhere to keep active and learn new skills. For younger kids, 3-5 years old, The Field House has a Little Athletes Half-Day Camp and for 5-12 year olds they offer a Multi-Sport or Gymnastics day camp where the children will learn sports such as basketball, soccer, rock climbing and gymnastics from professional instructors. 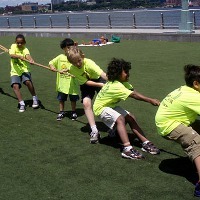 Older children will enjoy the Urban Adventure Camp at Chelsea Piers' Sports Center where they will learn teamwork, confidence, and communications skills through sports activities both solo and in teams. Summer Camp with Exotic Animals! Offering several summer camp programs for kids, The Bronx Zoo is a great place for your child to learn about nature in a fun and interactive environment. For children ages 4 through 7 the "Pablo Python Looks at Animals" camp program is a magical discovery where children get to meet animals up close each day, explore the zoo and go on safari in the zoo's African Plains. For older children the Animal Kingdom Camp is a great way to learn more about animals across the world. This one or two week long camp is best for children ages 8-12 years old. For an unforgettable summer, send your kids to this day camp! Mills Basin Day Camp has been serving Brooklyn for 14 years with fun, educational and active camps for kids from pre-school to teen. When you send your child to this NY summer camp he or she will get to do sports, gymnastics, arts and crafts, swimming and much more! Camps are broken up into 5 age/grade groups so you can be sure your child is with others his or her own age. Mill Basin's facilities are spacious and provide room for many types of activities. 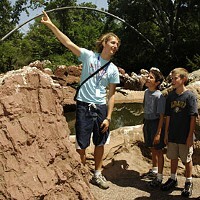 The older kids in grades 5-9 take day trips and a couple over-night trips in addition to the normal activities at camp. 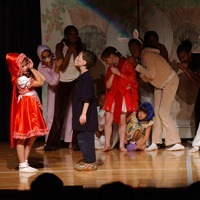 One of the Best Arts Summer Camps in New York! 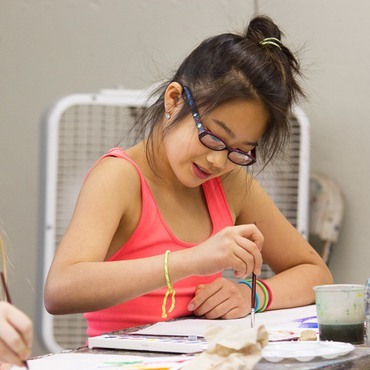 This summer camp is unrivaled when it comes to summer arts programs for students. Usdan offers more than 40 different programs for kids from kindergarten to12th grade including music, theater, chess, writing, videography, pottery, gardening, dance and more. Usdan is a day camp but offers special buses to many neighborhoods throughout the area so your child can be picked up nearby. The campus' seventy studios and theaters offer state-of-the-art facilities for learning and performing. When you send your child to Usdan for summer classes it is sure to be an enriching and memorable experience that will provide them with a fun education and skills they will use for years to come. 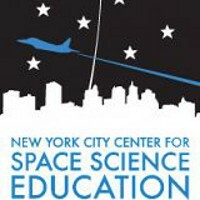 Space Camp for 5-8th Grade! When you send your child to this great space camp he or she will get to learn how to build and program a robot, train to be an astronaut and take off and land on flight simulators among many other things! Hands-on interactive activities will assist your child in learning skills in logic, problem solving and cooperation. If your child is a scientist in the making, then they'll love this day camp! 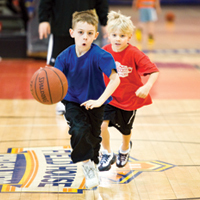 Camps run in week long sessions throughout the summer and are 9:00am through 3:30pm. Fun Day Camp all Summer Long! 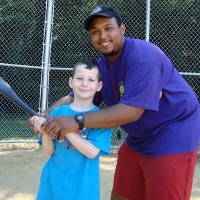 The staff at this summer camp believe that summer is a time for children to expand their horizons. When you send your child to World of Discover Summer Day Camp they will be led in a wide range of activities by expert instructors. From swimming to rock climbing, tennis to baseball, your child can learn new skills or practice old ones all in a fun and dynamic environment. Make summer a time for making new friends and staying active when you send your child to World of Discovery. Their door-to-door transportation picks up from locations throughout Queens and makes it even more convenient than ever for your child to attend. More than 30 Years Delighting Kids! This fun summer camp has been keeping kids busy, engaged and having fun over the summer since 1979. Camp programs are five day programs for 8 weeks of summer. The focus at this NY summer camp is on individual achievement in a nurturing environment. Swim days, theme days, spirit days and more keep things dynamic and new for the campers. Since all activities are held on Staten Island Day Camp's extensive and spacious grounds, you don't have to worry about your children traveling - you'll always know exactly where they are! Fun NY Summer Camp for Jewish Children! This fun summer day camp is part of the Jewish Cultural Center of Staten Island and offers a wide range of activities to campers all summer long. A curriculum of sports, arts, swimming, nature activities and Jewish and Israeli culture are taught by expert instructors. For over 75 years this camp has been a delightful part of many children's lives. Different values are taught each week as part of the camp curriculum and fun theme days and field trips keep campers excited to come back each day. These day camps are some of the top Jewish summer camps in New York! Educational Day Camp at a New York College! Summer camps at Queens College take place on their beautiful 77 acre campus and are offered to children from 5 to 14 years old. Lunch is included in this great day camp program and bus service is available for a fee. Queens College offers three separate programs during the summer. The Education and Sports program is for children who want to explore their educational interests beyond their normal school studies. The All Day Sports Academy is an activity oriented program where campers can choose their main sport to practice while also experiencing other sports. The Theatre Production Program is perfect for young actors to build their talents or for those who want to learn about stage management. 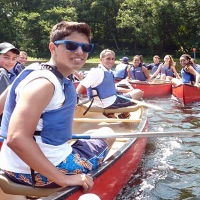 Passport NYC is a Jewish summer camp for teens in 9th through 12th grade. This great camp gives kids the opportunity to study with NYC's experts in one of five areas: film, fashion, culinary arts, music industry or musical theater. The camps run in 3 week sessions twice during the summer. Kids in each program will get the meet experts in their fields, learn from the top schools and experience NYC from a new perspective. Passport NYC camps are sleepaway camps, allowing the campers to fully immerse themselves in their chosen field. Unrivaled Opportunities at this NY Summer Camp! For an unforgettable experience in the film field, send your children on an unforgettable adventure with the New York Film Academy. Teens between 14 and 17 years old can choose from a variety of camps offered, from film and acting to broadcast journalism, 3-D animation and video game design. Classes take place at the Lower Manhattan Community Middle School where campers can live in residence halls. Camps can be anywhere from 1 to 6 weeks long, depending on the program chosen. Kids will never forget the summer they spent in one of the greatest cities in the world, studying with the New York Film Academy. Learn , Play and Grow at these Camps! 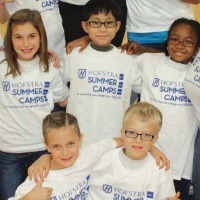 These summer camps put on by Hofstra University are great for kids from 2nd through 12th grade. They offer a huge variety of courses and camp-types so no matter what direction your child leans in - whether it's sports or fashion design, computers or dance there is something for him or her. Choose a Specialty Camp which focuses on a specific type of athletics, dance, theater, art, academic discipline or other specialized area or choose a Sports Academy Camp which offers a camp experience focused on your child's sport of choice. 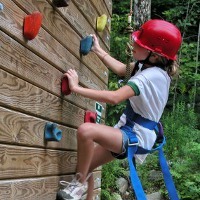 These great NY summer camps are accredited with the American Camp Association. Choose a fun short-term camp in addition to the summer-long Adventure Camp. Adventure Camp is geared toward children from 5 to 15 years old and includes fun activities, sports, field trips, theme days and much more! Within Adventure Camp you an sign your child up for focused weeks such as Dance Camp, Sports Academy, Fit Camp and more! Junior Camp is available for children from 3 to 5 years old and is a blast for young kids. Sign up for as many weeks out of the summer as you'd like, and your child can create lasting memories and learn useful skills at these NY summer camps! Memorable New York Summer Camp Experience! For over a decade Tae Kwon Do Warriors has been providing martial arts training to the Bronx in a professional and motivating environment. In addition to their normal martial arts classes and after-school programs, these experts offer summer camps for kids from 4 to 12 years old. 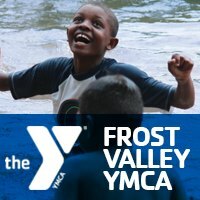 If you want your child to spend his or her summer in a safe, nurturing, positive environment, this is the choice for you. This fun day camp has activities which include, daily martial arts training, hiking, sports, swimming, field trips and more! Brant Lake Camp is a summer camp destination in New York that has had the same owners and rulers for 90 years now. This is an all boys’ camp and there are 3 camp systems, based on the kids' ages: junior, intermediate and senior. The camp begins usually at the end of June and ends mid-August. The main goals of the camp are to provide a healthy, safe, fun environment for the kids attending, excellent instruction and sports participation. 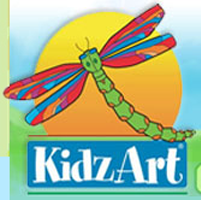 KidzArt is a foundation that aims to teach art, especially drawing and painting, to kids of all ages and even the adults can participate in some workshops. 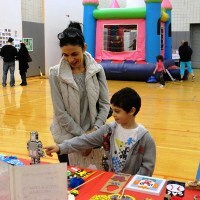 The KidzArt classes are available one hour per week at various community centers and public schools across New York City, as an after-school activity. The art classes teach the history of art, artists, artistic styles and techniques and use various art mediums. All the classes are age appropriate and a child as young as 2 can attend. At the NYC Kids Club you can drop off your kid for pre and after school, summer drop-in classes, day camps or you can book the location for a birthday party. There are 10 locations available in New York City, Brooklyn and Queens as well as an international one in Beijing, China. The subjects that are taught during classes are Spanish, cooking, music, art, dancing, theatre, fitness and there is the possibility of combining some classes.